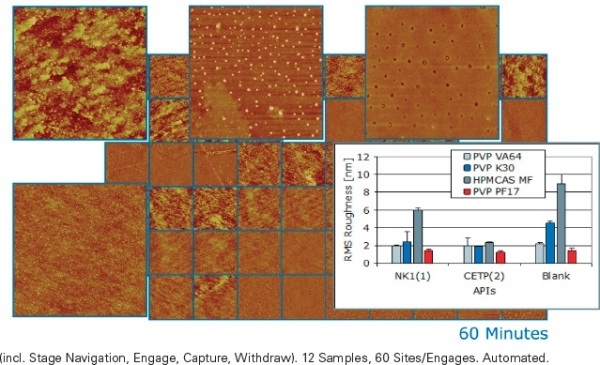 There are three key application areas that benefit from a high-bandwidth Atomic Force Microscope (AFM) with identical data quality, operating cost, force control and convenience of use as a typical AFM. These can be classified under screening, survey and dynamics. For each of these categories, the Dimension FastScan was applied. A survey of a material is typically undertaken to understand the representative morphologies of a heterogeneous, unknown sample. 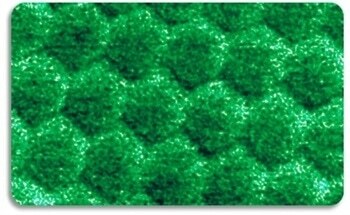 This is a very typical situation when using an AFM (or any microscopy technique) on a new sample. Especially for complicated (e.g., biomaterial) samples, the major part of imaging time is often spent looking at enough sample surface to understand what is important, rather than capturing the final images that represent the sample. Covering a larger area of the sample, with enough detail and within an acceptable amount of time enables a better, more balanced view of the parts and their respective roles. On a rough sample, more sites can be engaged and imaged in a shorter amount of time. The NanoScope software’s MIRO image overlay capability can be utilised to keep track of all the scans within one context, and in relation to an overview optical image. On a fairly flat sample, another way to survey the sample is to capture a very large scan area with very high pixel resolution. The data can then be zoomed into and analyzed (even without using further tool time) and representative areas can be magnified and published. A key advantage of this method is that it is possible to decide on the best scale and framing after taking all the data. 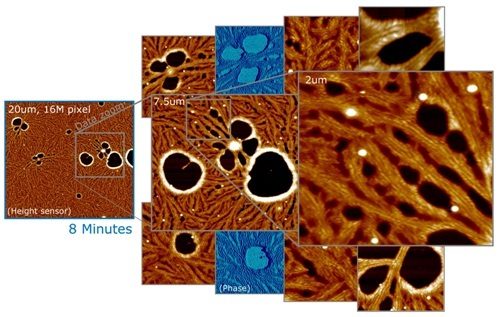 The data shown in figure 1 comprises one 16-megapixel image of a 20-micron scan range on a PTFE polymer film, acquired in 8 minutes, with data zooms of various interesting morphologies, as well as phase data for two of them. Figure 1. 20mm, 16MP image of PTFE polymer film (left), acquired in 8 minutes. Right: Multiple data zooms showing detail and phase data. Surveying a sample means to explore and understand it’s representative morphologies, and document them in publication quality images. On sufficiently flat samples, one survey method is to take a large, high-resolution scan that can be explored offline for representative morphologies, which can then be magnified and published. It is easy to understand the space of possible phenomena in screening applications, however in order to understand the dependency of an input parameter or a process parameter and a nanoscale morphology or property must be understood and quantified. It is important to image a number of sites on multiple samples and to effectively analyse and quantify the property or morphology. Imaging speed is essential as also multi-sample loading and automation, reliable operation without intervention of the user, data management and batch image analysis are equally important. 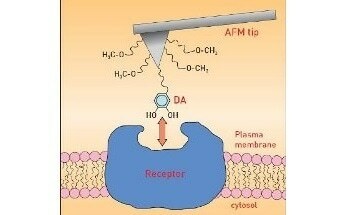 Figure 2 shows an example of AFM screening from the pharmaceutical industry. Here the active pharmaceutical ingredient (API) is combined (formulated) with an (inactive) excipient to form an amorphous solid, with the objective of maximizing the API’s solubility after ingestion. At room temperature, the amorphous formulation is solid (frozen) but otherwise it would phase separate.In order to observe the possible phase separation with bulk techniques, relatively macroscopic (~100nm) separation and re-crystallization of the API must first occur. 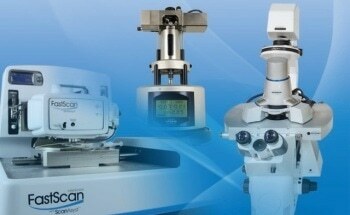 The Dimension FastScan AFM can obtain the indicators of instability on a much smaller size scale, much earlier. The “typical” discipline for high-speed AFM is the time-resolved study of dynamic processes on the scale of proteins and DNA. This application is responsible for a large part of the initial understanding of how to make AFMs faster, while maintaining non-destructive tip-sample forces. It was discovered that it was essential to make cantilevers smaller. It then becomes necessary to enable the use of smaller cantilevers, to scan faster, and to capture data faster. In this hunt for speed, it was found that the achievable frame rate scales roughly with the dimensions of the cantilevers. It also scales with the data quality, with the number of lines, and with the acceptable pixel blur caused by loose tracking (parachuting). Achieving frame rates more than 1fps is typically achieved by increasing imaging bandwidth, and by trading image quality for speed. 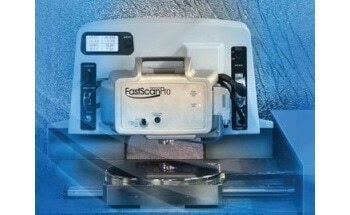 In order that the FastScan to be more than a single-purpose movie machine, it was important to have full AFM performance at increased bandwidth, but to be able to further trade off resolution for speed in the way of other high-speed AFMs, and to maintain superior control of tip-sample forces at high scan rates. Figure 3 shows three frames from a time sequence of 2100 frames, captured at a rate of 1 frame per second, of DNA in buffer solution, loosely bound to and diffusing on an APS-treated mica substrate.One can see different motions of the DNA, including a “sliding” motion of the DNA along its contour, and approximately perpendicular to the scan direction. 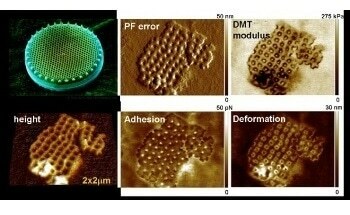 This shows that the DNA’s binding to the substrate is loose enough to allow it to move, and diffusion is not dominated by the back-and-forth scan motion of the AFM tip. This should lay a good foundation for the observation of more complex sample systems, such as DNA-protein complexes, ATP-driven systems, etc. The idealistic notion of faster AFM imaging is almost as old as the AFM itself. A number of implementations for specific applications have shown that great increases in AFM imaging speed are possible. Higher speed AFM has not been approached as a certain set of applications, by certain fields of research and on certain samples, but with the faith that one would rather always image faster, however not at the expense of quality, sample size or delicacy, usability, or operating cost. We do expect that a faster AFM will open up new areas of investigation over the full range of applications, from routine industrial to molecular biophysics. 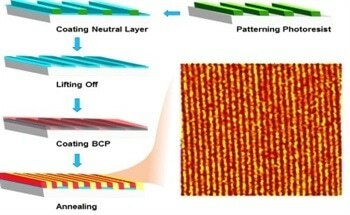 Significantly it will enable researchers to quickly and efficiently look at and understand a sample at the nanoscale, using the breadth and content richness of the AFM technique.